You will be picked up from your hotel and be taken to Lima Bici’s headquarters in Miraflores. From there your tour will start and you will visit the Main Square of Lima, observe the change of guards at the palace, some museums such as Casa Aliaga, the Art Museum of Lima and the church and catacombs of San Francisco Convent. 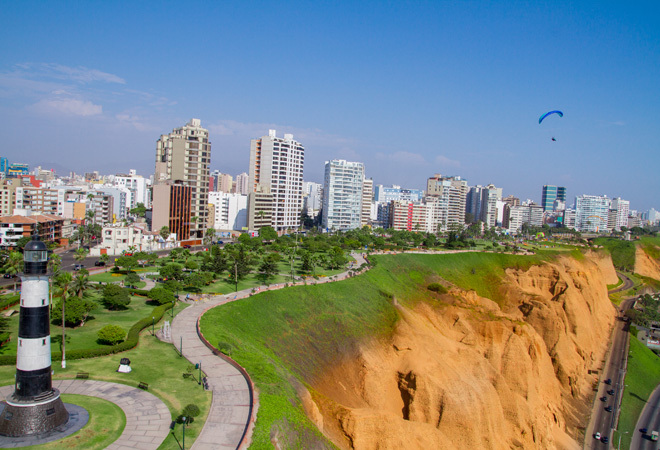 In addition, you will have a Peruvian traditional lunch in the historic centre of Lima. And finally, you will end your day with a leisurely stroll and amazing sightseeing along the boardwalk. You will definitely not regret this unforgettable experience! At the end of your tour, you will be transferred back to your hotel. Meals included: Breakfast and lunch at Lima Center. 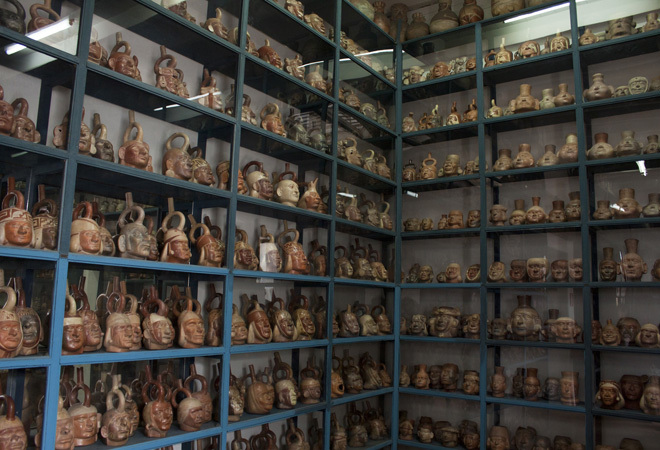 Upon arrival, you will start your tour on route to the Pisac market, which has scores of stands that exhibit and sell products manufactured by the residents of the area every day. Beautiful alpaca textiles, musical instruments, paintings, carvings, necklaces and replicas of old Inca pieces stand out. You will continue to the Pisac archaeological vestiges, which as the largest complex of terraces in the area and a masterpiece of the agriculture of the Inca Empire. Next, you will have lunch then be taken to your hotel for the evening. A transportation service will pick you up from your hotel at the Sacred Valley at the established time and will transfer you to the Ollantaytambo train station. Your tour to Machu Picchu begins with a train ride to Aguas Calientes in approximately two hours. 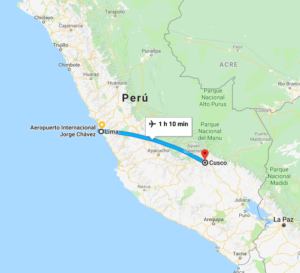 This town is also known as “Machu Picchu Pueblo” and is the last stop before the entrance to the remains of the most important archaeological site in Peru. In Aguas Calientes, you will find the railway station, a crafts market, restaurants and accommodation of different categories for those who prefer to spend the night at the foot of the mountain and climb it early. 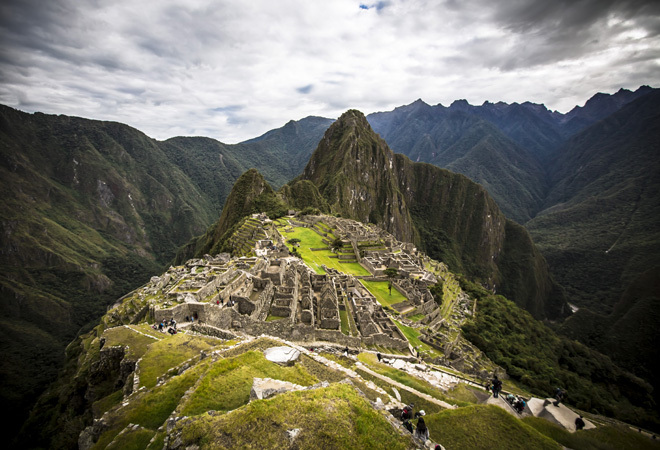 Finally, after a short transfer, you will reach Machu Picchu, a masterpiece of engineering and architecture that is believed served as a sanctuary and retreat for the Inca Pachacutec (1438 – 1572). Machu Picchu, which means “Old Mountain”, is considered a World Heritage by UNESCO and one of the new seven wonders of the world. Once in the citadel, you may optionally also visit the Intipunku (Sun Gate), the Wayna Picchu (subject to space availability) and the Inca Bridge. At your arrival, a transportation service will pick you up from the Ollantaytambo train station at the established time and will transfer you back to your hotel in the Sacred Valley. After picking you up from your hotel we will transfer you to Cruzpata on Maras’ plateau, where we will start your mountain bike adventure enjoying lovely views of impressive Andean peaks, many cactus plants and Andean villagers on their daily activities, optional visit of the Inca experimental agricultural terraces of Moray. A picnic lunch will be provided here. Then we will proceed on a dirt road to Maras, where we will stop and visit the Salt Mines. Return to the hotel. Meals included: Breakfast and picnic lunch. Start your tour today by visiting Koricancha, also known as the “Temple of the Sun”, which was built by the Inca ruler Pachacuti and, upon the arrival of the Spaniards, became the base for the construction of the Santo Domingo Convent. Here, during the Inca Empire, reverence was surrendered to the sun, and there was even a time when the structure was covered in gold. Next, visit the Cathedral, the most imposing monument in the Plaza de Armas square. The construction of the cathedral took almost 100 years to complete, beginning in the mid-16th century. Hundreds of stones were extracted and transported from the Sacsayhuaman fortress under the command of the Ecclesiastical Council to use for the construction of the church. Continue your tour to the fortress of Sacsayhuaman, a magnificent building conceived and built by Inca ruler Pachacuti in the 15th century. The Sacsayhuaman complex was built with megalithic blocks, the transportation, and erection of which continue to be a fascinating mystery. The Inti Raymi Sun Festival is reenacted here every year on 24 June during the winter solstice. 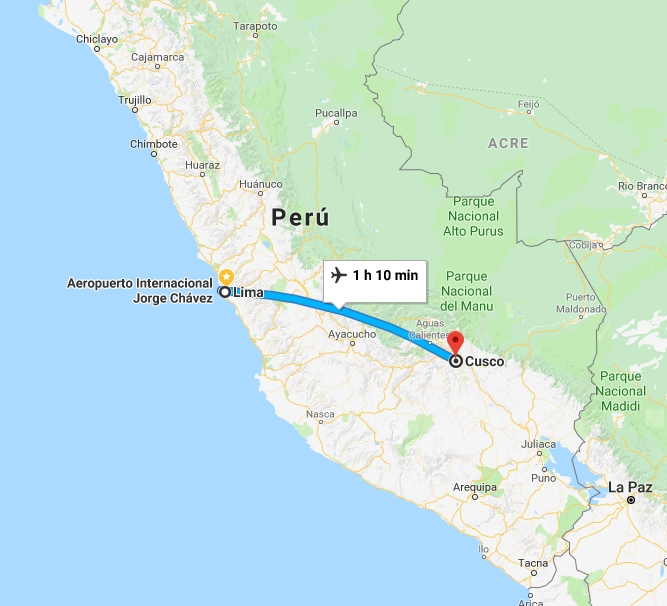 Continue on to Quenqo, located only four kilometres from the city of Cusco. Quenqo is an archaeological complex of mainly religious use where it is believed agricultural rituals were performed. 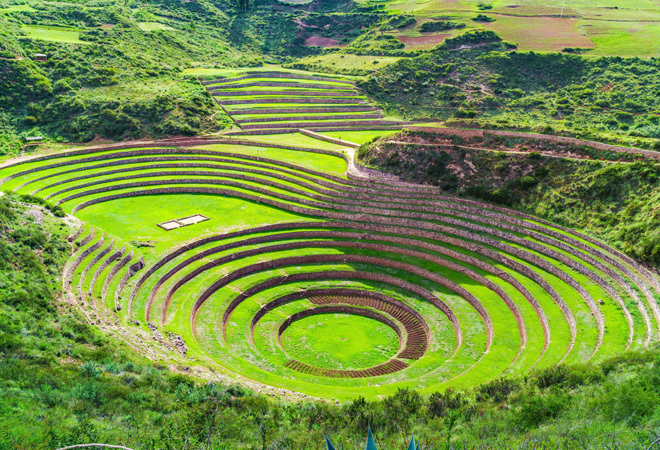 Finally, visit Puka Pukara, located seven kilometres from the city of Cusco. Puka Pukara, meaning “Red Fortress”, was an architectural complex of alleged military use with multiple spaces, plazas, baths, aqueducts, walls, and towers, and it is believed the entourage of the Inca ruler used the space while he rested in Tambomachay. Return to the hotel with the remainder of the day at leisure. 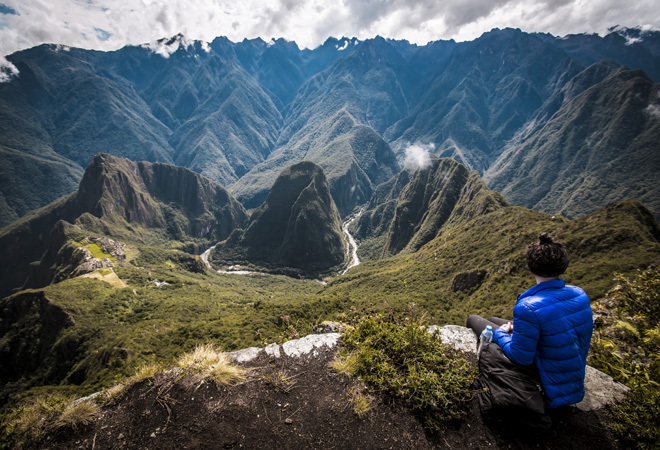 This is the trip to choose if you are the active type, enjoying physical activities while experiencing the beauty of nature and reaching the most important archeological sites in Lima, around Cusco and the Sacred Valley – including Machu Picchu. It can be purchased as a tour in its own right or you can add any magnificent extensions created by us or yourself. Program for standard hotels, includes local private guidance in Machu Picchu and transfers from Sacred Valley’s hotel to Ollanta Station and from Ollanta Station to Cusco’s hotel are only transport. Program for premium and luxury hotels includes private guidance in Machu Picchu from the pick-up of the hotel in Sacred Valley until the drop off to Cusco hotel. Bici tour and MTB tour does include accidents insurance and will include all the necessary safety equipment.